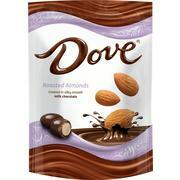 Product - Dove Silky Smooth Promises Milk Chocolate Candy, 15.80 Oz. Dove Silky Smooth Promises Milk Chocolate Candy, 15.80 Oz. Product - Mars Dove Milk Chocolate Pumpkin Candy, 8.87 Oz. Mars Dove Milk Chocolate Pumpkin Candy, 8.87 Oz. Product - Dove Red 4th of July White & Blue Milk Chocolate Candy, 8.64 Oz. Dove Red 4th of July White & Blue Milk Chocolate Candy, 8.64 Oz. 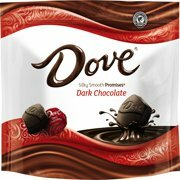 Product - Dove Silky Smooth Promises Dark Chocolate Candy, 8.46 Oz. 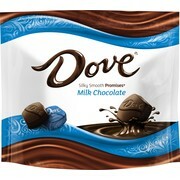 Product - Dove Silky Smooth Promises Milk Chocolate Candy, 8.46 Oz. 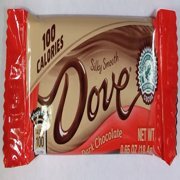 Product - Dove Silky Smooth Promises Dark Chocolate & Sea Salt Caramel Candy, 7.61 Oz. Dove Silky Smooth Promises Dark Chocolate & Sea Salt Caramel Candy, 7.61 Oz. 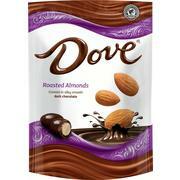 Product - Dove Silky Smooth Promises Milk Chocolate & Peanut Butter Candy, 7.61 Oz. 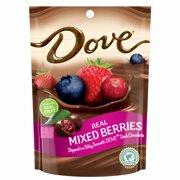 Product - Dove Real Mixed Berries Dark Chocolate Snack, 17 Oz. Dove Real Mixed Berries Dark Chocolate Snack, 17 Oz. 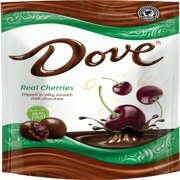 Product - Dove Dark Chocolate Snack with Whole Cranberries, 17 Oz. Dove Dark Chocolate Snack with Whole Cranberries, 17 Oz. Product - Dove Silky Smooth Promises Dark Chocolate, 8.87 Oz. Dove Silky Smooth Promises Dark Chocolate, 8.87 Oz. Product - Dove Dark Chocolate with Whole Cranberries Snack, 6 Oz. Dove Dark Chocolate with Whole Cranberries Snack, 6 Oz. Product - Dove Silky Smooth Promises Sea Salt Caramel Dark Chocolate, 7.94 Oz. Dove Silky Smooth Promises Sea Salt Caramel Dark Chocolate, 7.94 Oz. Product - Dove Silky Smooth Promises Caramel and Milk Chocolate Candy, 7.94 Oz. Dove Silky Smooth Promises Caramel and Milk Chocolate Candy, 7.94 Oz. 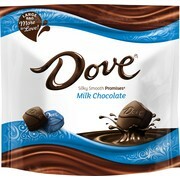 Product - Dove Silky Smooth Promises Milk Chocolate Candy, 8.87 Oz. Product - Dove Silky Smooth Promises Dark Chocolate Mint Swirl Candy, 7.94 Oz. Dove Silky Smooth Promises Dark Chocolate Mint Swirl Candy, 7.94 Oz. Product - Dove Silky Smooth Promises Peanut Butter & Milk Chocolate Candy, 7.94 Oz. Dove Silky Smooth Promises Peanut Butter & Milk Chocolate Candy, 7.94 Oz. Product - Dove Silky Smooth Promises Peanut Butter & Dark Chocolate Candy, 7.94 Oz. Dove Silky Smooth Promises Peanut Butter & Dark Chocolate Candy, 7.94 Oz.